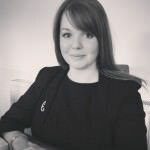 Kathryn joined Chambers having been previously employed by the Crown Prosecution Service where she undertook her pupillage. Kathryn is regularly instructed on behalf of both the Prosecution and Defence on matters listed before both the Magistrates’ and Crown Court. Predominantly personal injury especially matters resulting from road traffic accidents including credit hire cases. Kathryn also receives instructions to draft pleadings and advices in personal injury cases. Kathryn particularly enjoys keeping fit and is a member of British Military Fitness. She also loves to ski whenever she gets the chance. 2019 © 39 Park Square. All Rights Reserved.